Hey gang! My "Look and Cook" series suffered a little mishap recently (cauliflower mash, don't ask), so until the next installment, I thought I'd entertain you with some local restaurants that I frequent with my family, Tom and my friends. If you're in town, I encourage you to try them! 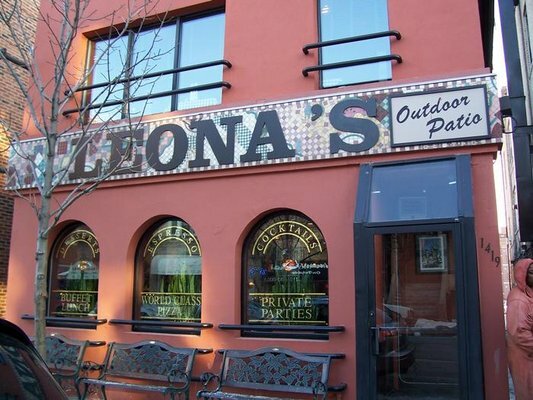 This is my go-to Italian restaurant - great for going with friends, family, date nights, you name it. 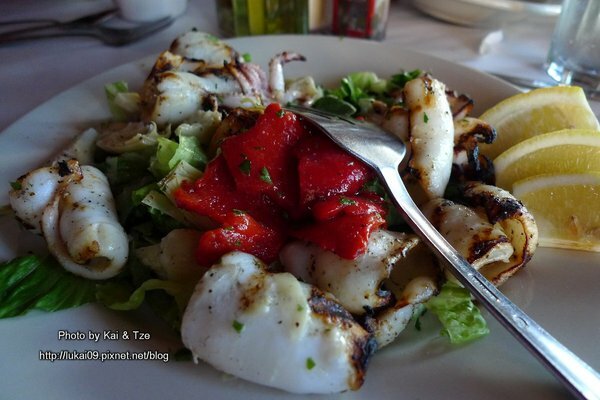 When people ask me for an Italian restaurant recommendation, this is the place, because holy crap, can they cook!My favorite dish on the appetizer list is the grilled calamari. It is cooked to perfection every single time, never rubbery or chewy like I've had at other restaurants. he dish also includes artichoke hearts, roasted red peppers and a small salad and everything is drizzled with a lemony vinaigrette that I would drink straight from the bottle if they'd let me. Look at that appetizer! It's to die for. Another thing I love on the menu is the Zuppa de Pesce (seafood soup) with angel hair pasta. That dish is shareable or definitely two to three meals and I love love love it. It includes all kinds of seafood, which I could eat any day of the week! You can have the sauce prepared mild or spicy, and I've eaten it both ways, but I prefer the mild. The spicy is good, but the heat level is unpredictable to the point where once I couldn't even eat it and had to send it home with my spicy food loving boyfriend. 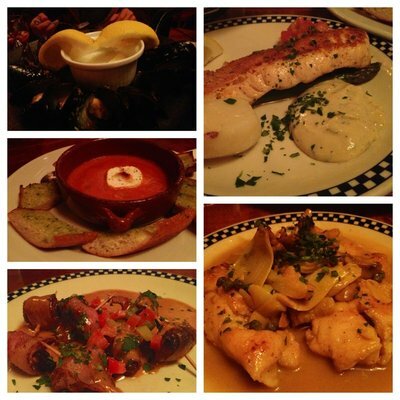 Cioppino (seafood stew) has got to be my #1 favorite Italian meal and they do not disappoint. It includes two large wedges of garlic bread for dipping and just like the Zuppa, you really have 2-3 meals in one bowl. I have also gone the traditional route and had the spaghetti and meatballs...talk about comfort food. It's absolutely delicious, perfectly cooked pasta and perfectly seasoned sauce. Many friends have told me that their pizza is excellent, that's next on the list to try. La Gondola makes a habit of feeding you well, so I rarely ever make it to dessert. I have tried the mini cannoli, which were very good (and cute too!). Sometimes I just want a little something sweet, and one or two of those little guys hit the spot. I was introduced to this restaurant by Starr and another friend of ours, and I've been hooked ever since. Tapas are small plates, which makes for a fun experience when you are with a group of people (or my very hungry boyfriend). I usually like to make a game of it - I tell everyone to order 1-2 plates of something they like (or would like to try), that way it gives you an opportunity to try familiar things along with things you'd never thought you'd try before! And if you're still hungry, you can order more! The food is amazing and so are the prices! I've been to a few tapas places in the city, and they do not compare to the quality and value you will find at TB. And the sangrias rock, too! My favorite things on the menu are the marinated olives (swoon! I already love olives, but these are quite special with the seasonings and vinaigrette they are prepared in), bacon wrapped dates (don't knock 'em until you try 'em, a friend referred to them as jelly doughnuts wrapped in bacon and she was 100% correct with that assessment! ), the patatas bravas (potatoes in a fiery sauce and is delicious), and the goat cheese in tomato sauce with garlic toast to spread the mixture onto. I also love their seafood dishes and always watch for the specials, because there's always something fun to try every time. Here's a sampling of some of their menu items, the goat cheese dish I mentioned is below, 2nd photo on the left, and the bacon wrapped dates are the 3rd photo on the left. This is a new find and it isn't far behind from La Gondola, to the point that when I want Italian food, I'm torn! I discovered this little gem through a local restaurant review show called Check, Please and then found out it's about 5 minutes away from where I live, so I had to try it! 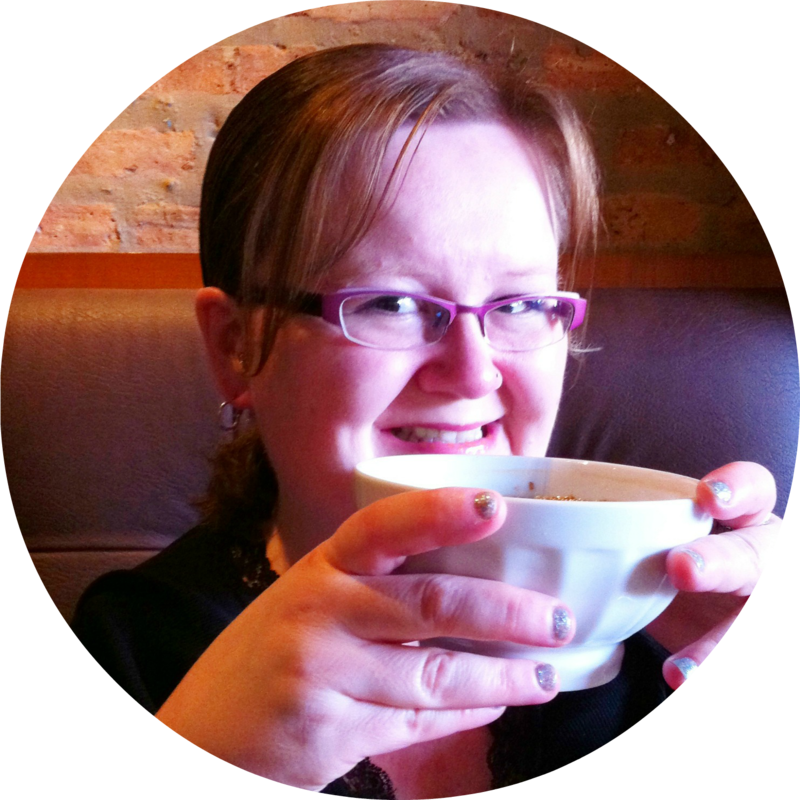 I've been to the restaurant 2-3 times and it was a wonderful experience all the way around. They are very warm and welcoming and the food is AMAZING. I've tried a couple of appetizers, one was featured on their specials, it was a take on mozzarella caprese, but instead of tomatoes, they used peach slices! It was drizzled with balsamic cream, which is another condiment I LOVE, and put all together you got that whole sweet and savory party going on in your mouth and it was excellent! I have only ordered the same entree when I go there because I can't get enough of it. It's called Bucatini all'Osso di Manzo. 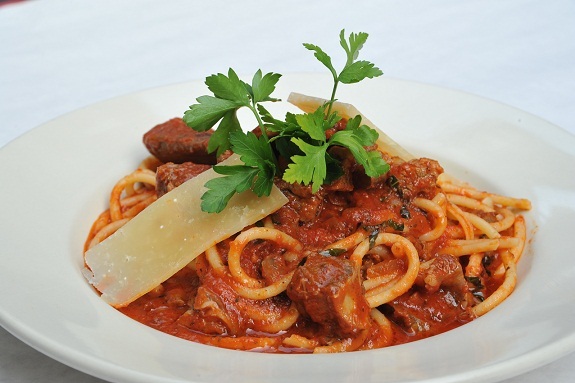 Quite a mouthful, but in a nutshell, it's thick hollow spaghetti served with braised rib meat sauce. Oh. My. God. Talk about foodgasm. It's right on that plate!! Actually, I take it back, I've tried the Linguine di Mare (pasta with seafood) and it was fantastic. That night I dined with my sister and she kept eyeballing my plate and I had to give her that warning shot stare to stay back! Ha ha! But seriously, this is becoming a new favorite and I can't wait to try more of their menu items! The staff is awesome. I think it mostly family working there, and I think that's great. The waitresses are lovely ladies, they call you "honey" and "sweetheart" and sometimes their English is so broken and they speak so quickly that it's hard to understand them, but you don't care. The smells coming out of the kitchen are so enticing, you want to eat and you want to eat now! 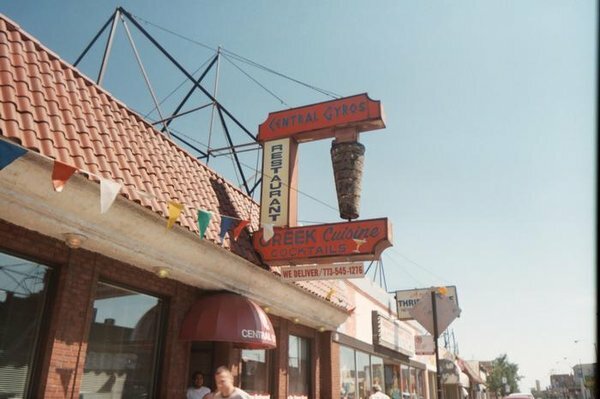 My go-to items are the chicken gyros plate - it comes piled high with thinly sliced roasted chicken, tomatoes and onions and a pile of steak fries. Another is the pork chops, grilled to perfection and served with a side of Greek potatoes, which are baked and covered in a savory lemony (and maybe tomato) sauce that's a big favorite of mine! And you can't forget the gyros. It's a mixture of lamb and beef and CG does a great job. My family absolutely loves the gyros at CG, my mom even goes as far as asking them to grill the meat once it's cut from the spit because she likes it a little crunchy around the edges and it tastes great! 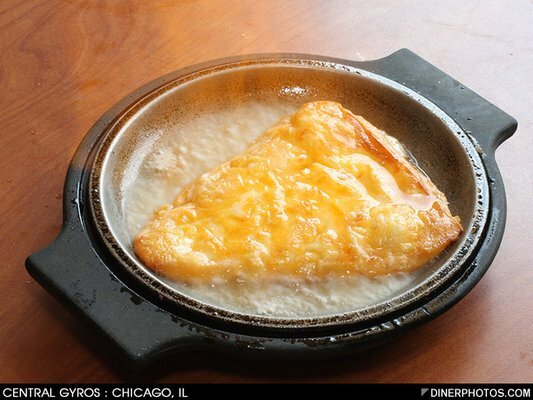 Finally, you can't leave without a little taste of the flaming cheese, also known as Saganaki. As they yell, "Opaa!" and light the cheese on fire all I can think is, "put the flame out already so I can get to eating that hunk of deliciousness!" It's an Italian-American family joint with locations all over the city and a few outlying suburbs. What I love is that there's something for everyone on the menu. I can probably say I've tried everything on the menu at least once and have never been disappointed! I love their sandwich selections, especially their chicken sandwiches because you can pick two "petites", or two half sandwiches with different toppings to keep your taste buds entertained! 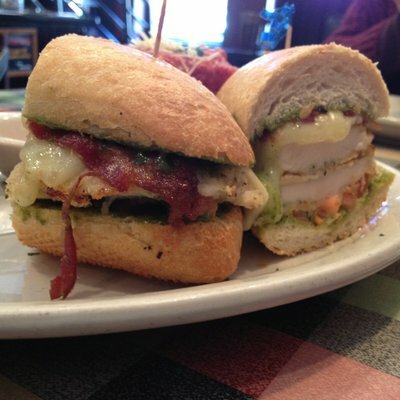 This is the Tuscan Chicken sandwich, which is a big favorite, and as you can see, they don't skimp on ingredients! I've tried the pizza as well and it's very good. The sauce is a little on the sweet side, but with toppings, it all mixes well and I really enjoy it. Their ribs are fall off the bone delicious and are slathered in a tasty barbecue sauce. The appetizers are great too. You have a choice of 4-5 kinds of bruschetta (I'm a fan of the roasted veggie), the fried calamari is SO GOOD (ask for a side of buffalo sauce if you like it a little spicy), and their buffalo wings look like they come from small turkeys. :) So good! See, I told you, I think I've pretty much tried everything. If you're looking for casual dining and don't mind lots of kids during peak hours (or you want to take your kids), this is the place to go. So that's my Friday Five of go-to restaurants. Trust me, there are more, and I'll be back to tell you about them! Even after lunch, I suddenly feel hungry! Everyone of those looks extremely delightful. You have so many delightful bistros. I could visit them all, though not on one day. Which one was President Obama's favourite? I so need to get back to Pasta D'Arte! Maybe we should have some sort of holiday/boys get to join us for once dinner there? !